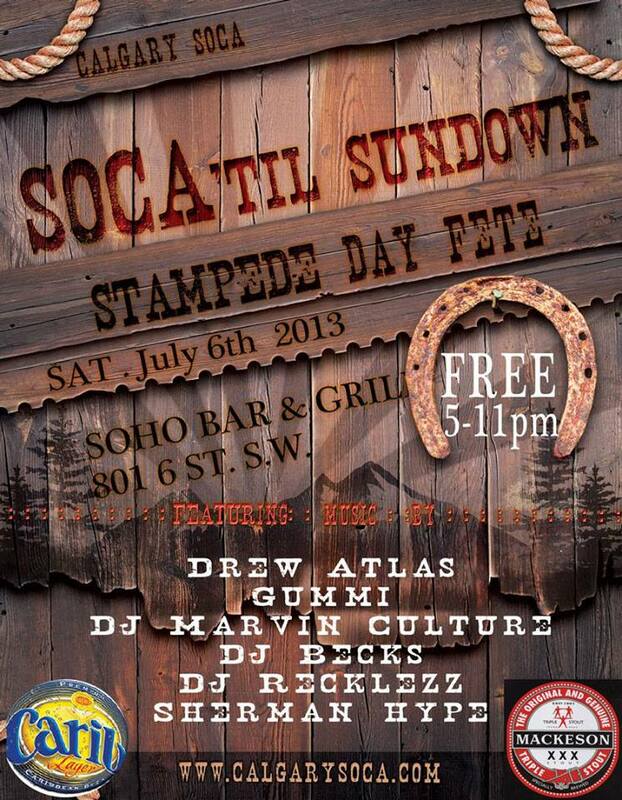 CalgarySoca brought our first ever DAY FETE during this year's Calgary Stampede! The crew returned to Soho to take over the patio and party both inside and outside until the sun went down. Since the rain fell heavily that day, the party was mainly inside however the vibes went on from 5pm - 2:30am! Drew Atlas, Gummi, DJ Marvin Culture, DJ Becks, DJ Recklezz and Sherman Hype! Also bigh thanks to both 'Carib Beer' and 'Mackeson Stout' for keeping the party going.